For many people there is nothing better than adopting a cat and giving a home to an unwanted cat. We look at how to ensure the experience is positive for you and your new cat. There's no doubt that adopting a rescue cat can be extremely rewarding. You and your family gain a loving companion, while at the same time giving a cat a second chance of finding a happy, permanent home. 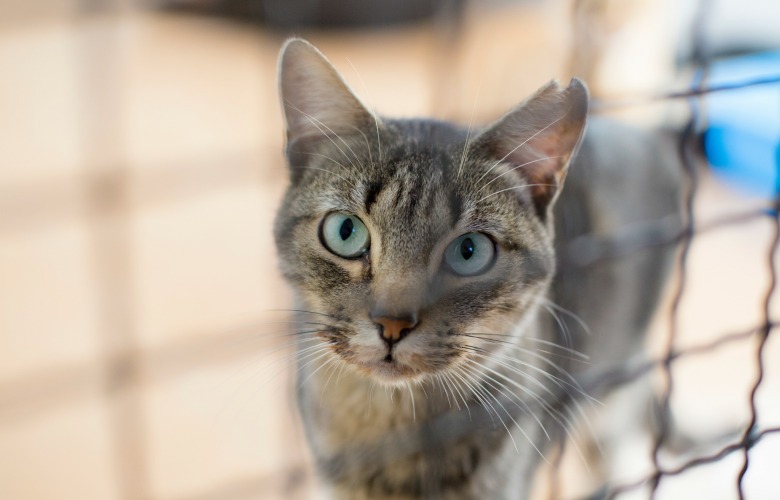 It is exciting to choose your cat, get to know him and settle him in - but there is a lot to consider before you even approach your local rescue centre. Staff at the animal shelter will give you lots of advice, as well as considering if your circumstances are suitable - arranging a home visit to check if you have room for a pet, if you are at home during the day, whether you go away frequently, what other pets you have and if you have children - but it is down to you to ensure the experience is as stress-free as possible for your new cat. One of the first things you should do is find out as much as you can about the cat's background. Claire Bessant, chief executive of International Cat Care says: "The more information you have on the cat and its background and the more you understand its personality and needs, the better. For example, if you have a dog it is useful to take on a cat that is used to dogs. Likewise, if you are going to keep the cat as an indoor cat, you need to ensure the one you choose has not previously had an outdoor lifestyle." "It very much depends on what you want from the cat. Do you want a confident, interactive cat or are you happy to take on a more nervous individual because you want to give a needy cat a home? Everyone is different, but the important thing is to try to match what you want from a cat with the cats that are there - not just to go for the coat colour you like." Your new cat will need a secure room with a comfy, safe hideaway and litter tray. Food and water should be nearby, but some distance from the litter tray, and don't forget to give him some toys to play with. If you get off to a good start it will pay off and your relationship will blossom. Be patient with him as it could take weeks before he is confident enough to be in the same room as you. Your cat will be naturally curious, so give him time to adjust and with a little persuasion he'll soon be exploring his new kingdom. Don't forget to make sure doors and windows are closed, and block any areas where he could hide and get stuck, such as chimneys, behind washing machines or under kitchen units. Leave him to explore before you make any formal introductions. Rescue cats may not have had much human contact so could be slow to welcome affection. A confident and friendly cat will be more trusting than a timid cat, who may be cautious, fearful and even aggressive towards other pets and people. Approach your cat on his level (get down on the floor) and do not move suddenly as he will perceive this as threatening. Offer him a friendly hand and calmly call his name. Cats Protection advises that allowing your cat to make the initial response means your relationship will probably be all the more satisfying. If he offers his head for you to touch, purrs and invites you to stroke his back, or even invites you to lift him up and stroke him, you could try putting him on your lap. However, let him jump down if he's uncomfortable and stroke him only if he shows you his whole body or rubs against your legs. Keep repeating his name, sit down and let him get onto your lap. Some gentle grooming may help him to feel at ease but some cats just don't like to be picked up and this must be respected. If your cat refuses to come out of his hiding place, just continue to visit him, calling his name and encouraging him to come out. Feeding him little and often will give you lots of opportunities to get to know each other. Shelter staff will tell you what your cat prefers to eat and feeding the diet he is familiar with will help to avoid tummy upsets. If he is stressed he may not eat for a few hours but don't worry, he'll let you know when he's hungry. And, when he's comfortable with you, he won't mind eating in your presence and his meals can be reduced to two a day. Make sure water is available at all times and avoid giving cows' milk, as it can cause diarrhoea in cats because of the lactose it contains. Alternatively, why not treat him to a commercial cat milk? You could also turn feeding into a fun trust exercise - gently throw pieces of kibble towards him, getting closer to you every time you throw. He will then start to associate proximity to you with a tasty treat. Once your new cat has accepted you, other members of your family can follow the same approach but do not leave children under five years alone with him. Make sure youngsters understand that he is not a toy and show them how to hold him. A new cat and a resident cat will often grow to at least tolerate one another, says behaviourist Sarah Heath. She explains: "In many cases they become firm friends but it is important to take care over the introduction process and allow time for their scent signals to integrate before they meet. When they do meet, ensure this happens under careful supervision. Give them time to come to terms and expect some unpleasant vocalisation at first. "When they are together for the first time it may be sensible to have a blanket ready in case there is a physical confrontation - you need to be able to separate them without being injured by sharp claws but try to resist the temptation to intervene too soon." Ensure that your resident cat continues to feel secure in his home and has unchallenged access to all his important resources such as food and resting places. Make sure each cat is on different sides of the room and give them a really tasty treat such as chicken. This way their attention is focused on the food and not on each other. Remember: Try not to rush things; successful introductions can take up to three months. It is also possible for your new cat to get along with your resident dog without too many problems, providing the cat has met dogs before. However, meetings should be supervised and your dog should be on a lead. When they are relaxed with each other they can meet without the use of the gate or kennel but the dog should still be on a lead. Try not to reinforce your dog's behaviour. If you talk to, touch or reassure the cat or dog, or hold a tight lead, you'll increase the dog's interest in the cat and encourage his chase instinct. The dog will also learn that he can get your attention by showing interest in the cat. Once he's been introduced to everyone, he's had all his vaccinations and he's been neutered and microchipped, you can let your cat explore the rest of the house, making sure he can't escape. Keep him in for at least three to four weeks but let him see outside so he can familiarise himself with his surroundings. You can then encourage him outside into your garden. Start by letting him out just before dinner time, making sure the route back to the house can be seen and is away from the danger of traffic. Don't worry, he'll find his way back - especially if he's hungry! Don't forget to make sure your rescue cat is microchipped and ensure your contact details are logged.